RA2 Select is whole home lighting control made simple. It is personalized smart lighting, shade, and temperature control for any home and any budget. Added convenience and more comfort. Staying in touch with your, home even when you’re not there. Through the Lutron app, the system can monitor and adjust lights, shade and temperature giving the homeowner peace of mind when home or away. The system can enact scheduling, geofencing (lights automatically turn on when the homeowner is within a certain radius) and home/away scenes. Through a Pico scene keypad, homeowners can transform a room at the touch of a button. Easily set multiple lights and shades to the right levels for cooking, a quiet dinner, or cleaning up. This Pico scene keypad also means control where you want it. Mount a Pico on a tabletop pedestal to control lights and shades right from a bedside table. The system works with dimmers, switches, plug-in modules, and Lutron shading products. The system works with leading smart home, AV, and security brands: Amazon, Apple, Google, Honeywell, Nest, Sonos, and more. The system can support up to 100 devices. The Lutron App includes a Contractor Mode (automatic configuration, every keypad gets programming and then the contractor or homeowner can customize it, add a new dimmer and automatically added to controls in the home) This is streamlined programming for the contractor that bypasses the customer account registration process that often requires close collaboration with the homeowner. No training is required to access the product. New installers can get started right away. Set-up can also be easily customized to meet the homeowner’s preferences. Once configured in the app, the contractor quickly has access to controlling the system while settings automatically transfer to the devices in the background. Pico remote controls arrive pre-engraved with typical activities for spaces such as the living room, and bedroom. Eliminate the coordination required during a standard engraving process. Pico wireless controls are automatically assigned to dimmers in the home. This saves the installer time and provides recommended configurations for all controls. RA2 Select is scalable. Start with one room or a whole home. The Lutron App optimizes for mobile and tabletformatting to show more scenes and devices—less scrolling required. RA2 Select is a new, differentiated lighting, shading and home control system providing smart home capabilities and controls to the customer. New Pico scene keypads are available pre-engraved with common scenes for typical activities in the home. Homeowners can transform their family room into a home theater with one button. Everyday moments are enhanced with the scene control. 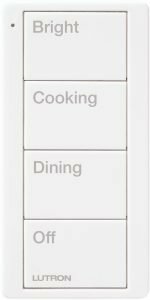 Lutron’s Pico wireless remote controls are automatically and intelligently pre-configured to the dimmers in the home with typical applications and light levels for that room type. 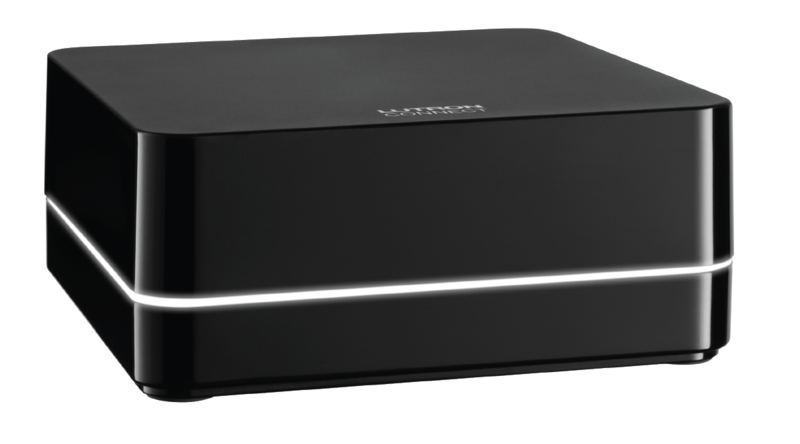 RA2 Select is compatible with the free Lutron App, available for both Android and Apple devices. From the app, homeowners can monitor and adjust lights, shades, and temperature, whether home or away, and make changes to timeclock events or scenes. A variety of product colors and finishes ensures a coordinated look throughout the home. The system works with leading smart home, AV, and security brands: Amazon, Apple, Google, Honeywell, Nest, Sonos, and more. The system can support up to 100 devices.